Many dog owners are looking for ways to feed their beloved dogs better. With all the revelations about the commercial pet food industry and their practices - many concerned dog owners are now choosing to feed their dogs homemade food instead. Freeze dried dog food is one option that provides many of the benefits of feeding raw minus the hard work of preparing raw dog food. But all for quite a significant extra cost. Freeze drying dog food is the literally THE BEST method in preserving dog food safely with almost zero nutrient / mineral loss. Very little heat is needed to "sublimate" the liquid out of the food. Freeze dried raw dog food is made in the same manner as high tech astronaut food. The same impressive technology that makes palatable, lightweight, and shelf-stable meals for are astronauts is also used to make freeze dried dog food. Freeze dried raw dog food typically contains a combination of high quality meat, bones, vegetables and fruits. The process of freeze drying consists of three steps. First, the food is frozen and put into a vacuum chamber. It’s then heated at a low temperature and the ice crystals evaporate directly into steam, which is removed. Finally, the food is nitrogen sealed so it can be stored without risking contamination from oxygen or water. The history of freeze drying food dates back to the beginning of the 20th century. It’s a process which has evolved over the years, from preserving plant and animal tissue to creating military food rations, space food, and more recently - pet food. What is the Difference Between Dehydrated and Freeze Dried Dog Food? Freeze drying and dehydrating are two methods of preserving food; eliminating most of the moisture content reduces the ability of unwanted bacteria to thrive. While you may think the resulting products would be very similar, there are big differences in both the processes and the end results. Dehydration is when the dog food is heated to temperatures of 120-150 degrees Fahrenheit; the moisture in the food is removed as a result of prolonged exposure to heat. It’s a cheaper process than freeze drying food, however the quality of the final product is affected. Exposure to higher temperatures means the dehydrated food loses more of its flavor and nutritional value than the freeze dried product. It can also take up to 24 hours to re-hydrate, compared to the freeze dried version which can take only minutes. Freeze dried dog food is a more lightweight product than dehydrated dog food. It also retains more of its flavor and nutritional value as the water is removed from it quicker and at a lower temperature. Why Is Freeze Dried Dog Food So Expensive? Freeze drying requires expensive equipment which consumes a lot of energy; these increased overheads result in a costlier product. Additionally freeze-dried dog food typically consists of higher quality food such as fresh beef versus rendered "beef mystery meal". Also, you need to take into account that freeze dried dog food has lost all of it's moisture weight. So although you may be buying only 14 ounces of freeze dried food, when properly re-hydrated the final weight will be considerably more. 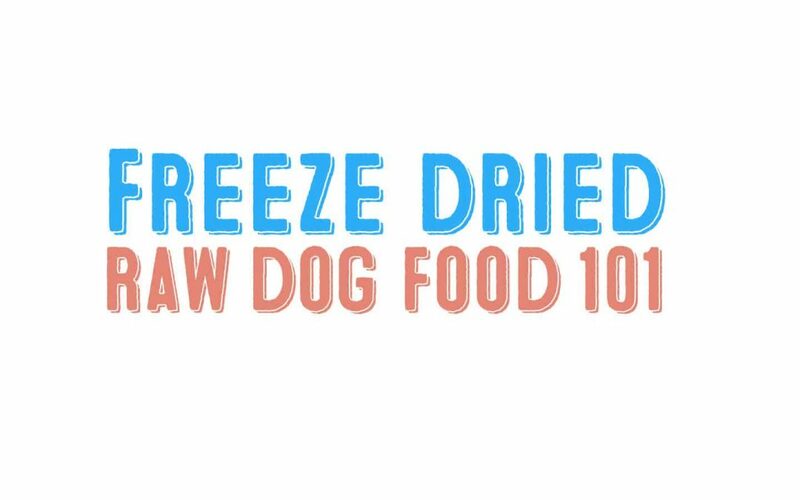 ​How do I Use Freeze Dried Dog Food? Freeze dried dog food is easy to prepare and serve. Follow the manufacturer’s instructions and mix the appropriate serving size for your dog with the correct amount of water. It’s important that the food is given to your dog as soon as it’s ready. Any leftovers should be refrigerated or discarded. This is because it’s possible for harmful bacteria to grow in warm, moist conditions. When you choose a freeze dried raw dog food, it’s vital to ensure that the product you choose is suitable for your pet and will provide them with the nutrition they require. There are many products available for supplementary use which aren’t a complete diet for your pet. Check that there’s sufficient protein, fiber and fat, and make sure that the freeze dried product is adequate for the life stage of your dog. There should be an AAFCO label on the packaging which will state if the product is suitable for your dog. Remember that while the freeze dried product seems to be a more expensive option, you get what you pay for in terms of grain ‘filler’ free and additive free products, which are better for your dog’s health. What Are The Benefits of Freeze Dried Dog Food? There are numerous benefits for you and your pet, ranging from its convenience and nutritional value to how easy it is to use. Firstly, freeze dried raw dog food is considered to be the most nutritious option for your pet after fresh raw food. The low processing temperatures of the food are less likely to damage or destroy vitamins, proteins and essential enzymes than the high temperatures used to make conventional dog food. The quality of any remaining vitamins also reduces by around 50 percent if conventional dog food is stored for six months at room temperature. Freeze dried dog food is easy and convenient to prepare and is considerably lighter weight than conventional dog food. It also has a long shelf life; this product can last in your pantry for around 25 years! This product takes up much less space than fresh raw dog food, and it doesn’t require refrigeration before preparation. It also comes with a lower risk of bacterial contamination during preparation and is much less messy to feed to your dog. What Are The Drawbacks of Freeze Dried Dog Food? Aside from the high cost, if you have concerns over feeding your dog a raw diet due to pathogen concerns then this type of raw dog food isn’t the best option for you. Because this type of dog food is not overly processed at high temperatures like conventional dog food, bacteria could be an issue at times. However, the bacteria levels will be a lot lower than those found in fresh raw dog food. Freeze dried raw dog food has a texture like oatmeal that may not be as appealing to dogs who are used to crunchy food or fresh meat. The taste is also slightly different to fresh meat, although it retains more natural taste than dehydrated dog food. There are two main types of freeze dried dog food options - one that has some "chew" or "bite" to it, and the other that is basically like "mush". 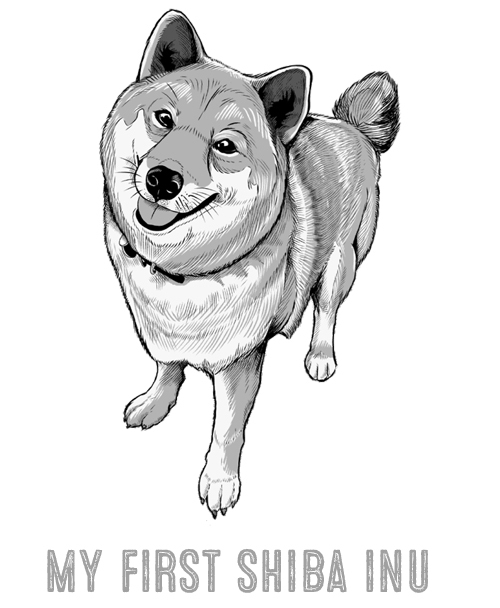 To get right to the point, we and our dogs prefer the type that still has chew and bite in it. The freeze dried food brands that are soupy and wet just won't appeal to a lot of dogs. However, it may appeal or be a good choice to older dogs that have difficulty chewing due to health or teeth conditions. Look for freeze dried food that has quality proteins as well as other important complimentary ingredients such as Omega 3 fatty acids, organ meat, fruits, and vegetables. Try to avoid large manufacturers in favor of medium sized specialty manufacturers that put more heart, effort and love into the foods they create. These smaller companies typically will use higher quality meats that are ethically and humanely raised. Make sure you choose a freeze dried food that has the proper amount of protein, fat, and carbohydrates for your particular dog's needs. In general, older dogs need less fat, while active, working dogs need more protein and carbohydrates. Is Freeze Dried Dog Food a Good Choice for Dog Treats? Yes! It makes an excellent treat for your dog. These treats are tasty, nutritious, and popular with even the fussiest of dogs! It's important that you take into account the amount of treats you give and take that into account when feeding the other regular meals for the day. Many dog owners are guilty of being too generous with their treat offerings leading to obesity as well as fussy eating habits. When evaluating freeze dried dog food options, the most important qualitative considerations are food quality, safety, and palatblity. In regards to cost, the recommended freeze dried dog food options all fall around a certain price point per ounce of food. And that cost is considerably higher than other dog food options. If cost is a prohibiting factor in your dog food budget, you may consider occasionally supplementing freeze dried raw food either as a topper or a training treat. Or, even better, look for sales at your local grocer and supplement your dog's food with fresh meat and veggies. Primal dog foods is one of our favorite freeze dried dog food brands. It is one of the few, if not only, dog food companies that offer USDA inspected human-grade dog food. The company is based in the U.S. and is inspected by the California State Department of Agriculture in order to meet USDA quality standards. This is a great PLUS in terms of knowing that a US company is committed to offering the best and safest nutrition possible. Stella & Chewy's is another great company to purchase freeze dried raw dog food from. Additionally, Stella & Chewy's freeze dried raw included organs, bones and 100% certified organic fruits and vegetables. Their food is minimally processed with no added fillers, antibiotics, hormones, and grains. Also, no ingredients or supplements are sourced from China. All-in-all, an excellent freeze dried raw dog food option. 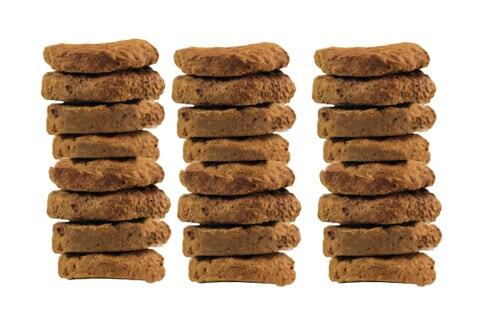 Check the availability and prices of Stella & Chewy's freeze dried raw patties here. Freeze dried dog food is a great food to feed your dog but the high costs may not make it a practical choice for many. Occasionally, supplementing your dog with freeze dried dog food could be an option that balances benefits, costs, and adding some variety to your dog's meals. It'd be a good "back-up" meal plan when other sources of fresh food is not available because of it's good shelf life when properly refrigerated.